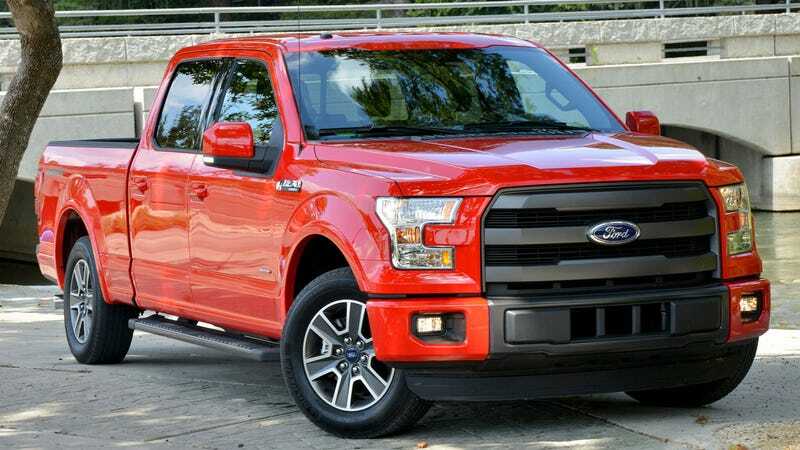 The new Ford F-150 EcoBoost gets fake engine sound, too. It's not just the Mustang. David Gluckman just finished up at the 2015 Ford F-150 launch, and one of the new learnings is that Ford pumps V8 sound into some of the turbo V6 trucks. Under hard acceleration, the speakers play a V8 soundtrack over what little you hear of the turbocharged 2.7- and 3.5-liter EcoBoost sixes. Added sound deadening means you hear less turbo whoosh than before, too. Ford engineers call it "order content," we call it "fake engine sound." The jargontastic name derives from the fact that different engines have different sounds as a result of layout and firing order. A V6 has more third-order noise, a V8 has more fourth-order sound, etc. The tech in the new F-150 adds more of the fourth-order ruckus. Note that it's not on ALL EcoBoost trucks. Just the pricier, higher-spec ones—Lariat and better. Regardless, one thing's clear. In the new Ford turbo era, fake engine noise isn't a bug, it's a feature.